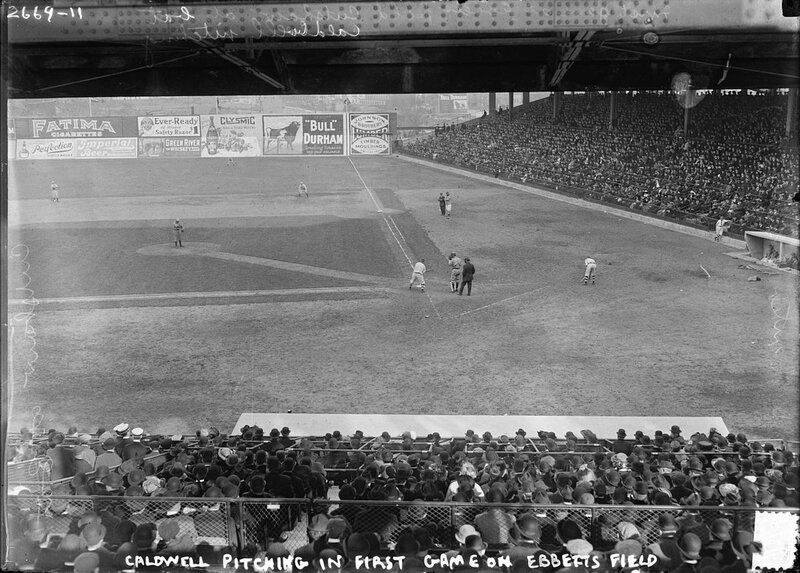 With 25,000 in attendance and 7,000 others watching "the game from the bluffs that loom above the field," Charles Ebbets had to turn away an additional 10,000 fans who wanted to catch the game. Though fans may have wished the park was a little larger, at least they didn't have to put up with the smell of rotting fish. How is that relevant, you wonder? Because the "grasslets" on the new field were fertilized with fish chum, during the offseason it gave off "one of the most aggressive odors known to science." Fortunately that had dissipated long before the stadium's opening. 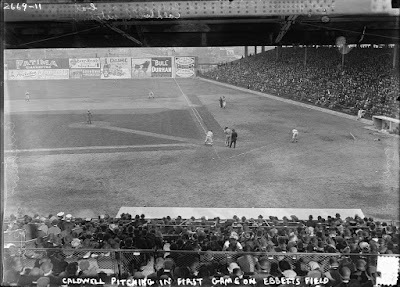 BTW, the Dodgers took an early 2-0 lead when Jake Daubert hit a homer and a youthful Casey Stengel hit one inside-the-park. The Yankees would then tie it up in the ninth. Fortunately, the Dodgers won the game during their half of the inning to win it in walk-off style, 3-2. This Day in Dodgers History: In 2005 the Dodgers signed free agent shortstop Rafael Furcal to a three year/$39 million contract and Nomar Garciaparra to a one year/$6 million contract. In 2014 the Dodgers received veteran shortstop Jimmy Rollins from the Phillies in exchange for mionor league pitchers Tom Windle and Zach Eflin. Per Sam Miller at ESPN; "The All-Star closer vs. the backup catcher: Inside the biggest mismatch in pro sports." Via Jeff Todd at MLB Trade Rumors; "Dodgers Receiving Minimal Trade Interest In Matt Kemp." Wow! 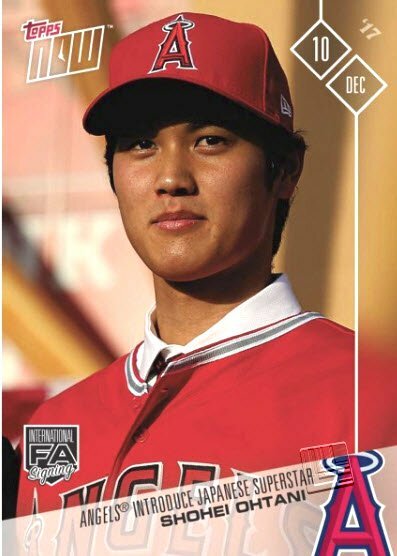 Per Rich Mueller at Sports Collectors Daily; "Shohei Ohtani Sets Topps NOW Sales Record. See his 2017 Topps Now card on the right. Per Eno Saris at FanGraphs; "Walker Buehler May Be Key to What Comes Next for Dodgers." With a big fastball, a good spin combination on his fastball and curve, and a high-velocity cutter/slider with slider-like drop, Buehler has the tools he needs to be an exciting young pitcher. In many ways, he looks like a young (plus fastball) Alex Cobb, who rode a high-spin fastball and curveball combo to good success last season in a difficult league and division. That’s interesting because Cobb is the best pitcher that the Dodgers can afford without going over the luxury tax — FanGraphs readers put the former Ray into a contract that would average $14 million a year, at least. Maybe the Dodgers already have Alex Cobb, though. Maybe the newly budget-conscious National League champs look to the seventh starting pitcher on their own depth chart for cheap upside and spend their remaining budget elsewhere.